Now this has to be the film with the most build up so far this year, a few weeks ago it was trending on Twitter with lots of hype surrounding it. Now that can either be a good thing for a film or a bad thing. It either builds everyone’s hopes up or manages to blow everyone away. After seeing the film (just in 2D) I feel like the build up was a little bit much as everyone is going to expect so much more from this film. 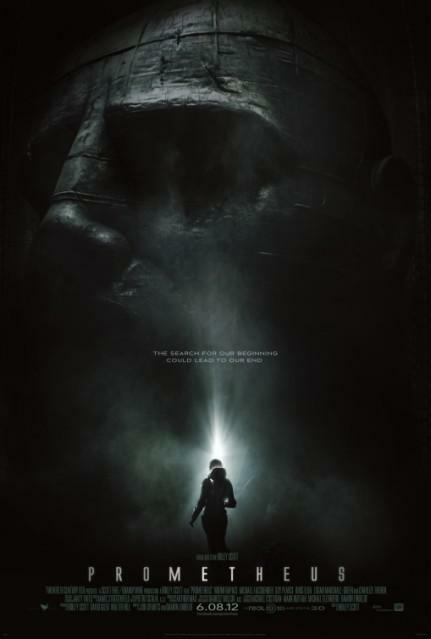 So with a lot of expectation surrounding the film (and having just watched Alien a few days before) I was very curious to what this was going to be like. Although I didn’t know much about the story line before heading into the cinema, I obviously knew it was something to do with space. It was more complex than just space though, it was all about two doctors discovery many different paintings and engravings in different parts of the world dated at different times. To lead them to believe the creators of the people on Earth were from a different planet. This lead to the journey which took over 2 years to reach the destination. But would they find exactly what they wanted? I guess that would be spoiling it, but with plenty of surprises along the way. David who is a robot has a very big part to play and seems to have his open mind despite being a robot. Which gives him a very creepy approach to things. I found myself being rather disappointed with this film as I just expected so much more from it. Visually it was just ok, wasn’t anything breathtaking or impressive. Pretty much what we’ve seen before in Sci-Fi films. I thought a lot of it was very similar to the format of Alien. I will add though that the whole stomach scene was rather graphic and made me shudder! By the end of the film I was left thinking that was it, but the way it ended is easily set up for a second installment. The cinema screening we were at was full and people seemed a little bit confused when it finished. Wondering if we had just wasted two hours sat watching this film. I am really not sure about it, what do you think?